Microderm Plus LED only £55 – Save £48! Reboot your skin with this power-packed facial package. Book a 30 minute DiamondTome Facial for £55 and enjoy a free upgrade with the addition of an LED facial using our new state of the art LightFusion LED technology. DiamondTome is our crystal-free microdermabrasion device. It is a mechanical exfoliation treatment, providing a gentle but thorough resurfacing of the skin. This will leave your skin glowing and radiant, whilst allowing better penetration for your skin products after the treatment. Sloughing away the layers of dead skin improves the appearance of lines and wrinkles, as well as stimulating the generation of new skin cells. This is one of our favourite treatments! 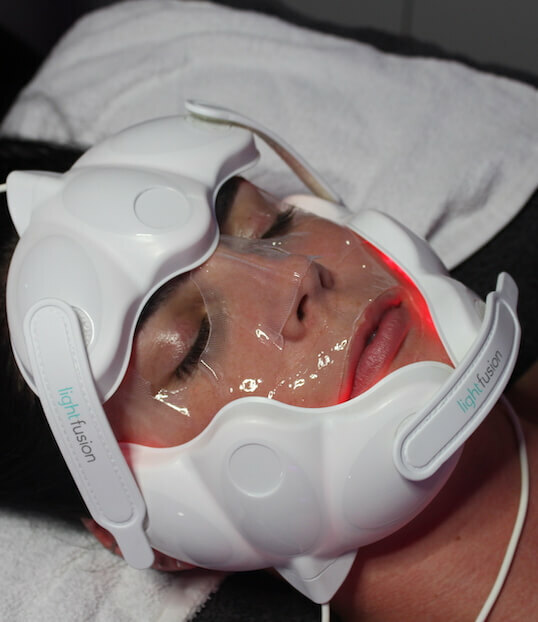 LightFusion LED is a new, non-invasive photofacial which leaves your skin visibly plumper and more radiant after just 1 treatment, simultaneously stimulating cellular processes beneath the surface of the skin to create a healthy, long-lasting effect. A LightFusion session usually costs £48 on its own so this really is a great offer to kickstart your skin health for Spring. Offer ends 30th April. Availability may be limited so early booking is recommended.